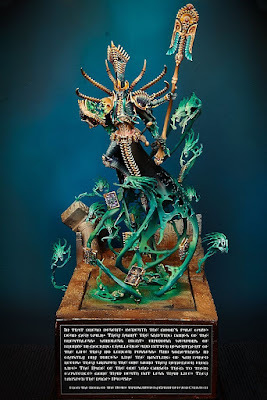 It's refreshing to see Nagash portrayed in a manner besides the traditional graveyard theme we usually see him in. Many people may forget that he started out as a Nehekharen. 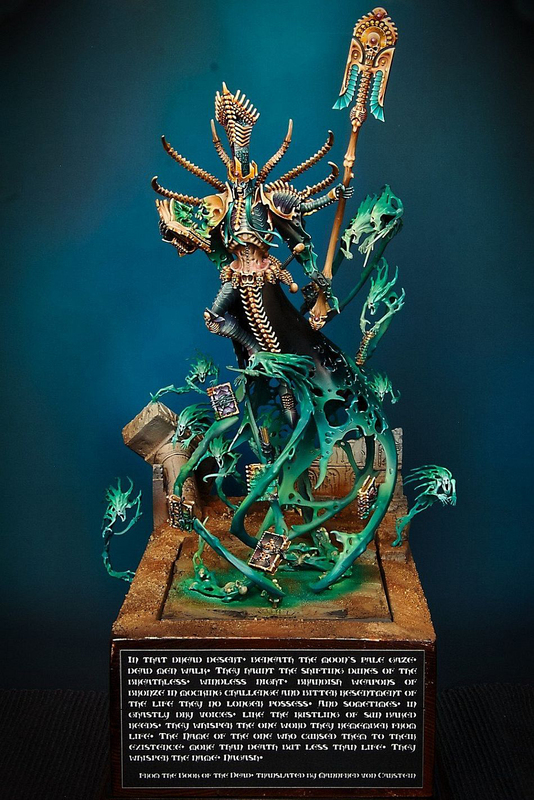 The painting on this is just as good as you would expect, although I do have to particularly applaud the bold color choices. Everything is very saturated and warm for a mini that's usually the exact opposite. 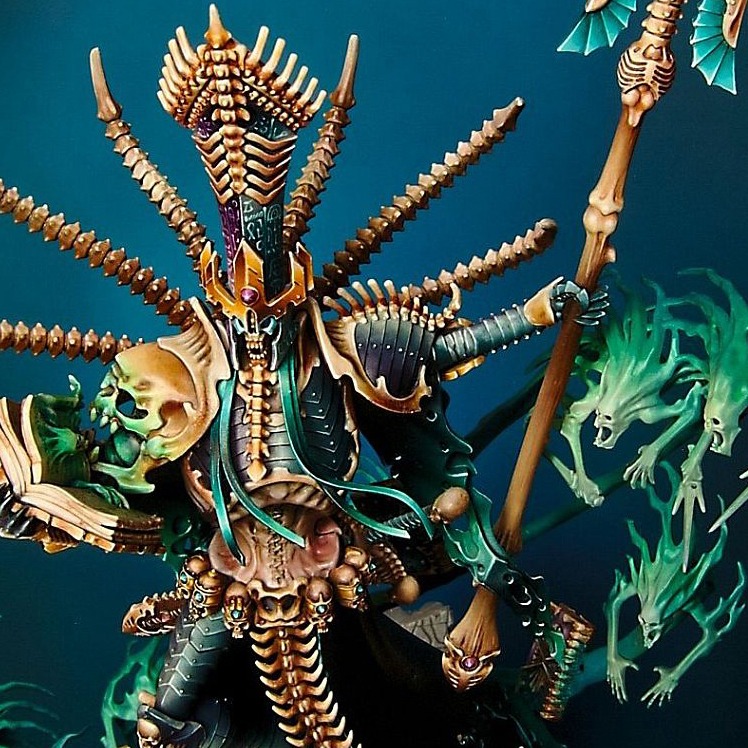 The freehand on the hat and the OSL are both very good as well. While the painting is great, my favorite part about it is the presentation. The ruined Egyptian style pillars behind him and the spirit hosts really set the mood. I can just imagine Nagash floating through the ruined remains of one of Nehekhara's cities during the End Times. The icing on the cake is the awesome quote on the front of the plinth. It really brings you into the story of the piece. 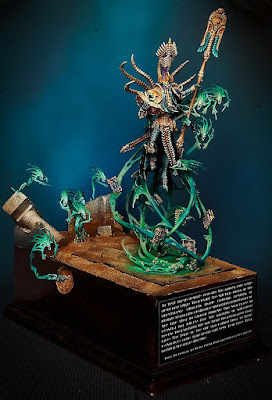 I don't know what more I can really say about it, it's just a very well done mini with a great display base.